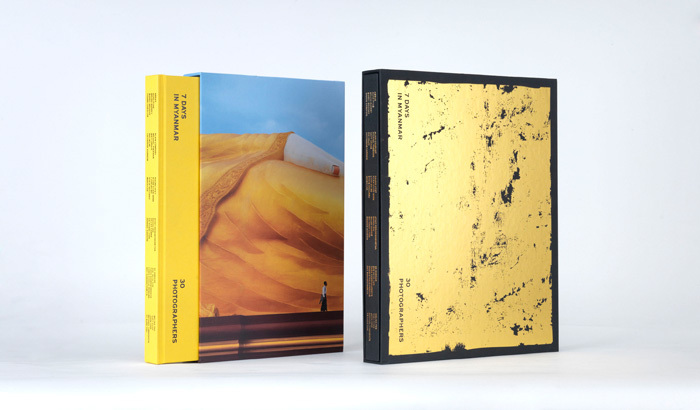 Shot in 7 days by 30 photographers from all over the world, the photo book expresses each photographer’s interpretation of the country from his/her viewfinder. 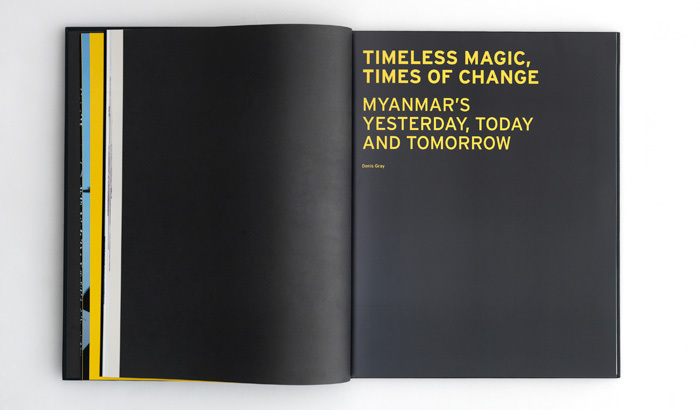 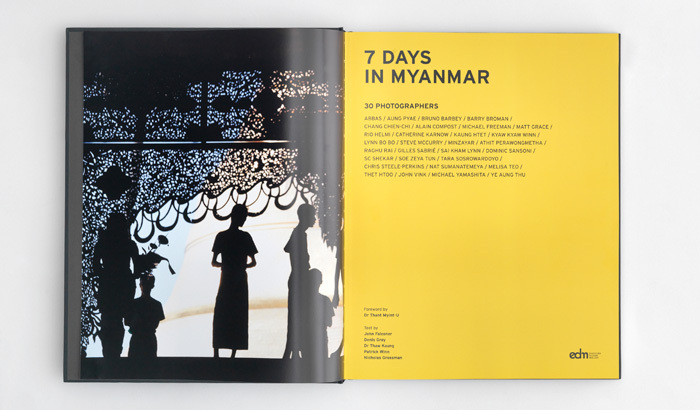 Tasked to design the façade of the book, a Buddha image, symbolic of the Burmese faith, wraps around the slipcase, while a complementing yellow textured paper dotted with the map of Myanmar forms the book cover. 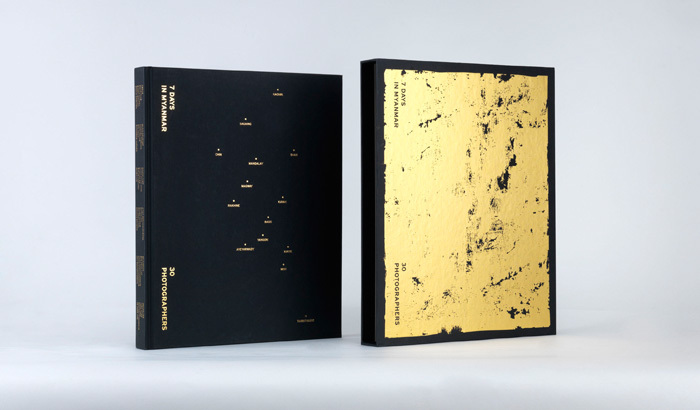 Ministers and important delegates on the other hand get to receive a deluxe limited edition packaged in a black slipcase stamped with distressed gold foil, inspired by the use of gold leaf in Buddhist rituals.